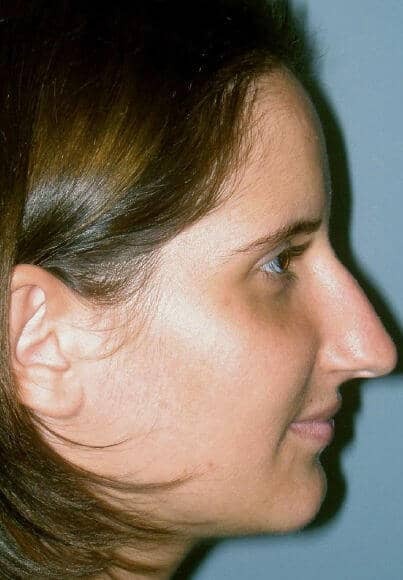 WHAT CAUSES THE NOSE TO ENLARGE AND CHEEKS TO FLATTEN? As you become older, your cheeks fatten, and the nose may begin to enlarge and droop. 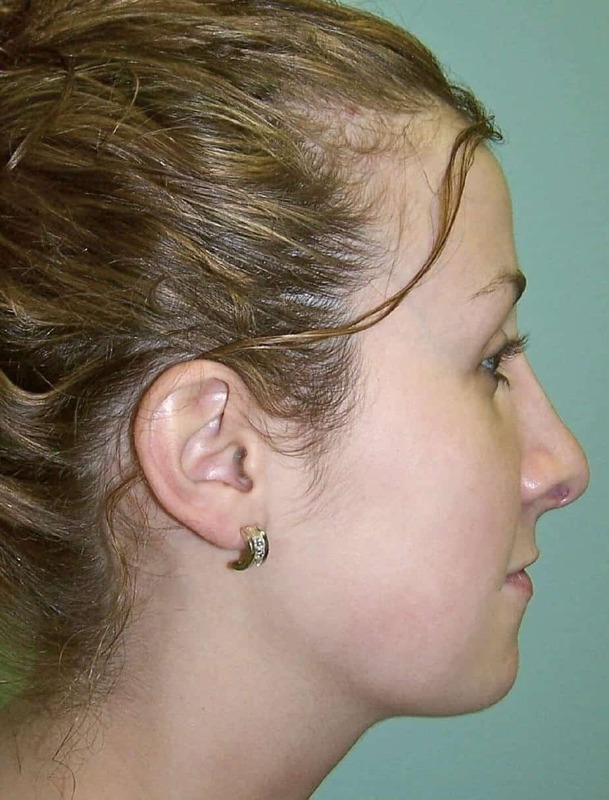 This is caused by loss of fullness in the midface and continual cartilage growth in the nose. The nose is the most prominent facial feature. Dr. Diamantis believes that "the perfect nose is a nose that is not noticed." If you are unhappy with your nose, allow Dr. Diamantis to transform your nose with cosmetic nasal surgery, also known as Rhinoplasty. Nose Reshaping (Rhinoplasty) or a "Nose Job" is concerned with the external appearance as well as the internal function of your entire nose. The purpose of this procedure is to enhance your looks and to maintain or improve your ability to breathe through your nose. It can be performed to either decrease or increase the size of your nose in order to enhance facial harmony. 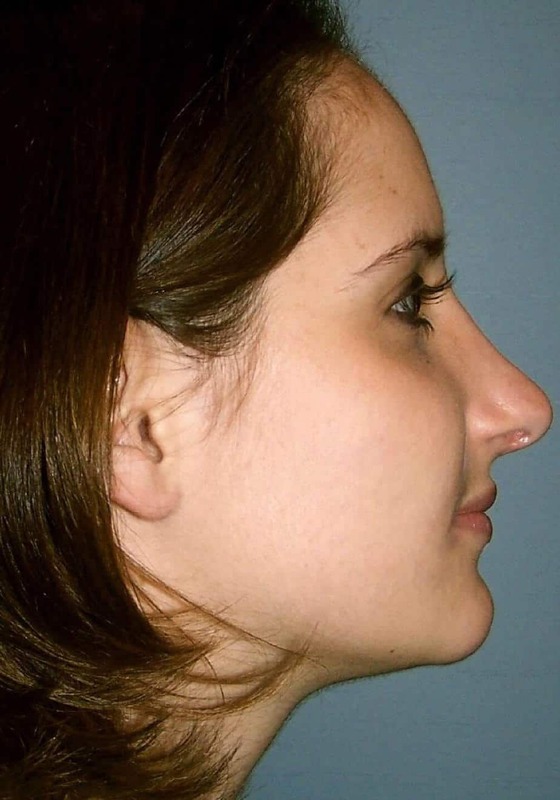 It can also alter certain features of your nose, such as a large tip, a prominent hump, or asymmetry. The goal of a rhinoplasty is a nose that looks natural and blends harmoniously with your other facial features. Dr. Diamantis sense of aesthetics, understanding of the anatomy and physiology of the nose and technical abilities are the most important determinants of the final appearance and function of your nose shaping procedure. Unfortunately, the final outcome is not completely under the control of the surgeon. It will be influenced by variables such as thickness and shape of your bones and cartilage, quality and thickness of your skin, your overall facial shape, age and heredity factors. Below are our actual patient photos before and after nose job! Patients who visit Cleveland Cosmetic Surgery are surprised when Dr. Diamantis recommends treatment for a receding chin in conjunction with a rhinoplasty. 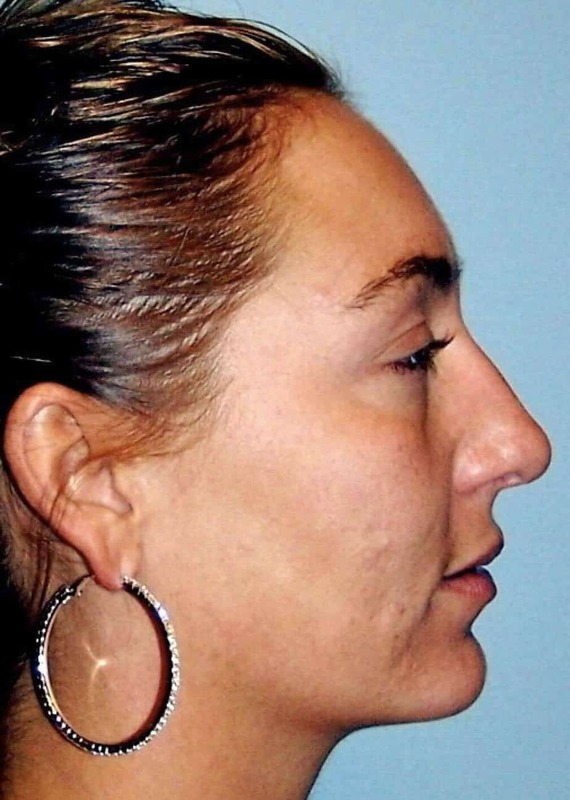 It is quite common to perform chin augmentation alone or in combination with rhinoplasty to balance facial features. If you believe the tip of your nose is too full and flat and lacks projection, this can be reduced by removing cartilage from the inside of the nose. Projection can be extended by using cartilage from the ear or nasal septum and grafted to the tip of the nose. Nasal tip surgery allows you to have a narrower nose with a better defined tip. The Columella is the area on the under of the nose between the nostrils. On some people, the Columella sticks out from the underside of the nose. This can be resolved by making a small incision inside the nose and lifting the Columella so it is less visible and protrusive. Columellar augmentation procedures are performed most frequently on Asian and African American noses. Dorsal surgery involves manipulating the "bridge" of the nose. Some people tend to have a significant amount of cartilage on the bridge, which gives the nose a hump-like appearance. This can be easily remedied with dorsal reduction. An incision is made inside the nose and the cartilage on the bridge and bone of the nose is reduced. The result is a smoother natural slope to the nose. 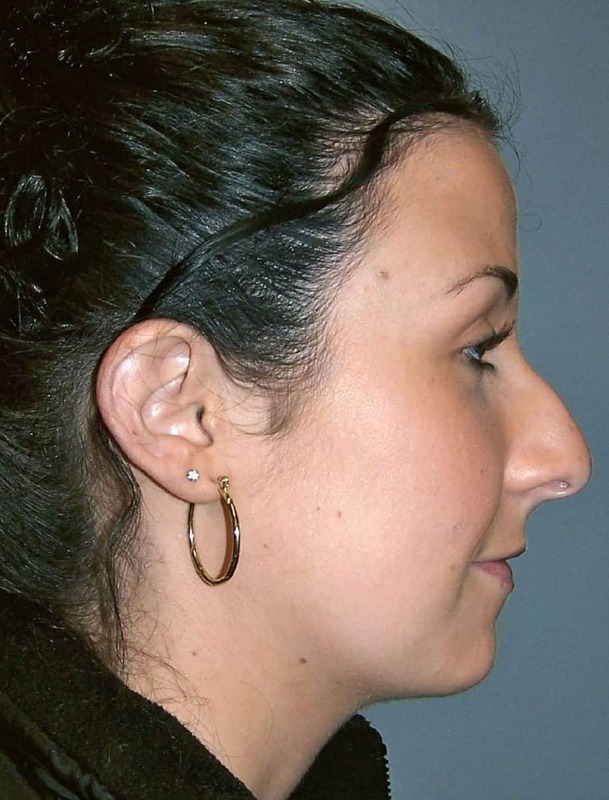 Dorsal augmentation is commonly performed to enhance the bridge of Asian and African American noses. Another common concern people share about their nose pertains to the flair or width of their nostrils. A narrow nose can be obtained with a procedure that removes tissues at the corners of the nostrils (Weir Excision). This procedure decreases the flare of the nostrils and creates a narrower looking nose. This procedure is often referred to as minimizing wedges. Problems Your ability to breathe depends in part on the anatomical configuration inside your nose--including the condition of the nasal septum (cartilage that divides your internal nose into two chambers, a left and a right) as well as the nasal turbinates (tissue along the sides of the nasal wall). Dr. Diamantis will examine the inside of your nose to determine the condition of your septum and turbinates. If your breathing may be improved by straightening your septum or reducing the size of your turbinates, Dr. Diamantis will let you know. Previous injuries, allergies, heredity, emotions and seasonal changes also influence your ability to breathe. If you have a breathing problem, Dr. Diamantis will evaluate these and other factors at the time of consultation. Rhinoplasty is performed as an outpatient procedure in the privacy of the Cleveland Cosmetic Surgery facilities. Take the next step: request a Free Consultation for a Nose Reshaping or Problems breathing through your Nose now and call us at� 216.227.3333 today to schedule your appointment at the� Cleveland Cosmetic Surgery at our convenient locations in Lakewood, Canton and Middleburg Heights - Cleveland, Ohio. "When I look in the mirror, I am unhappy with the size of my nose." Krystal is a free spirit who spends most of her free time performing. While she knows who she is, there are certain areas of her face that started to bother her. So, Dr. Diamantis recommended a specific rhinoplasty plan to address her concerns. 1. COSMETIC RHINOPLASTY- to shape the nose into a more elegant form. Conform the nose to fit her face. 3. DERMABRASION- a diamond fraise used to improve the appearance of skin texture. Much more successful than micro dermabrasion. 6. RECOVERY PERIOD- 5-10 days. Less with PRP. Krystal feels her nose is slightly too strong for her face. After an evaluation with Dr. Diamantis, a treatment protocol was developed to soften the dorsal hump and slightly rotate the nasal tip. Rhinoplasty is an outpatient surgery performed in our accredited private facility. Krystal’s nose is perfect. It's exactly what she wanted. The result is subtle yet elegant. The post-operative course was much easier and she experienced much less discomfort than she expected.
" Doctor, instructor and mother"
"I was so happy with my results, I referred my mother"
Dr. Graves is a compassionate teacher and Doctor. She believes one must make the most of the moments that matter. So, she decided to seek out treatment for cosmetic nasal surgery, and she is pleased she did. 5. RECOVERY PERIOD- 5-10 days. Less with PRP. Dr. Graves has always been concerned about the large hump on her nose. She felt that the overall size of her nose is too prominent. She asked Dr. Diamantis to reduces her nose without changing any ethnic characteristics. 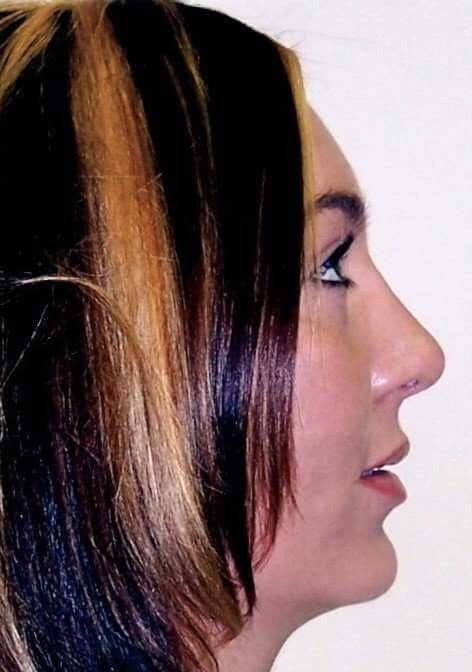 The Rhinoplasty was performed at Cleveland Cosmetic Surgery’s facilities. Dr. Graves is extremely happy with the outcome. She feels Dr. Diamantis achieved her goals. In fact, she's so please she referred her mom for the new weekendLIFT®. "Student, daughter, and aspiring author"
''My large nose really started to bother me." Sara is a student and an avid reader of modern literature. She hopes to one day write an influential cultural novel. She is a confident young lady who vowed to improve her nose when she was able to. Today, she's ecstatic with the way she looks. 3. ANESTHESIA OPTIONS- local anesthesia with IV sedation vs. general anesthesia. 4. RECOVERY PERIOD- 5-10 days. Less with PRP. Sara has a large dorsal hump with some tip ptosis (nasal tip drooping). She's inherited dad's large nose and is concerned that it will continue to get bigger. Dr. Diamantis developed a treatment plan that addressed both concerns while keeping future aesthetic concerns in check. Sara feels more confident now. Her nose now fits her face. Most people did not even notice that she had a Rhinoplasty; they just thought she looked better because she changed her hair color. "Nurse, artist, wife and expecting mother"
"The results exceeded my expectations." Nicole is multi-talented and an old soul at heart. But she wasn't pleased with the appearance of her nose. With a family on the horizon, she decided to seek out treatment, and she's so glad she did. Nicole enjoyed her experience so much that she enrolled in nursing school. We are proud to say, Nicole is a nurse at Cleveland Cosmetic Surgery. 3. ANESTHESIA OPTIONS-local anesthesia with IV sedation vs. general anesthesia. 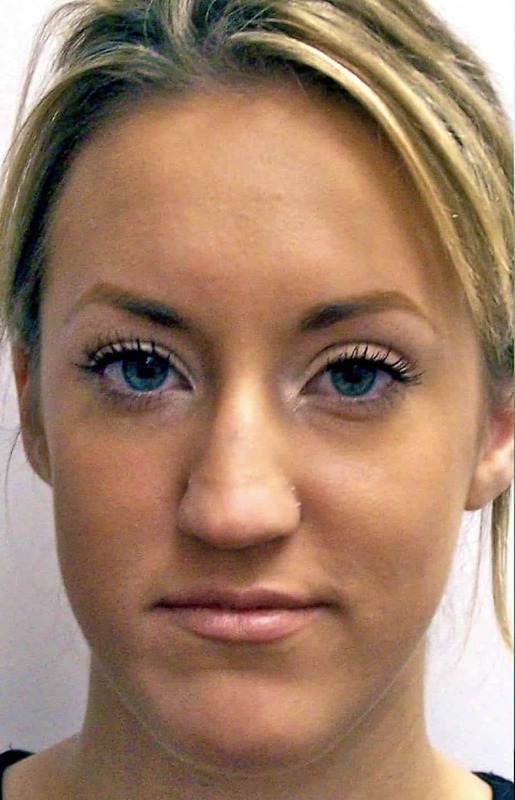 Nicole presented to Cleveland Cosmetic Surgery with a concern that her nasal tip was too bulbous and undefined. She wants a thinner nasal tip. Dr. Diamantis evaluated Nicole and agreed to proceed with the surgery. Nicole is thrilled with her more defined nose. Now when you look at Nicole you see her beautiful blue eyes. Dr. Diamantis states, “The perfect nose is a nose that is not noticed.” Incidentally, Nicole was so impressed with the Staff's commitment and care, she immediately switched careers and enrolled into nursing school. I am proud to say that Nicole now works with us at Cleveland cosmetic surgery.